October seems like so long ago! We started the month, on the 1st, by celebrating Ian's 24th birthday! 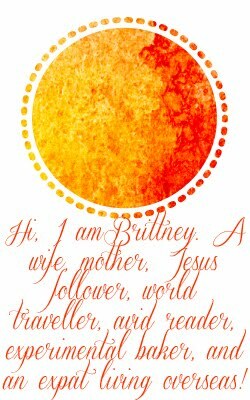 I was somewhat of a failure of a wife this year, because I wasn't really prepared for his birthday, nor did I make a big deal out of it. I was so overwhelmed with cultural adjustment and just learning how to LIVE here that I overlooked that little thing called "birthday gifts." My bad. 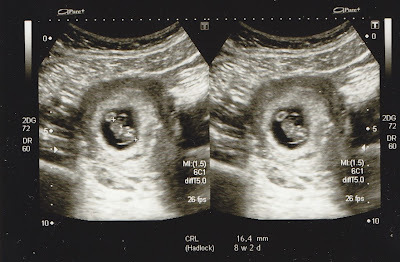 Although we announced our pregnancy in September, October marked the end of the first trimester, bringing about the chance to breathe a sigh of relief! 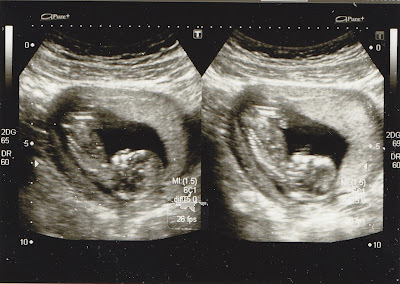 During the 13th week, I shared our first and second ultrasound pictures! 8 weeks along- just a little raisin! Just 4 weeks later, at 12 weeks, she has a face and everything! I finally had Ian take a picture of my pregnant self and began the process of more thoroughly documenting the pregnancy! We took a long weekend and traveled to the big city, where we stayed in a nice hotel and ate a tone of good American food! We received our first care package, which was the first of many blessings from people! My class also took a field trip to a nearby fort. It was beautiful and I can't wait to take our little girl back there for photo shoots! We also went exploring into the mountains on a Saturday, and went swimming in a wadi! October was busy and I felt like we were so much more comfortable in our new home this month! ultrasound pictures are the best!